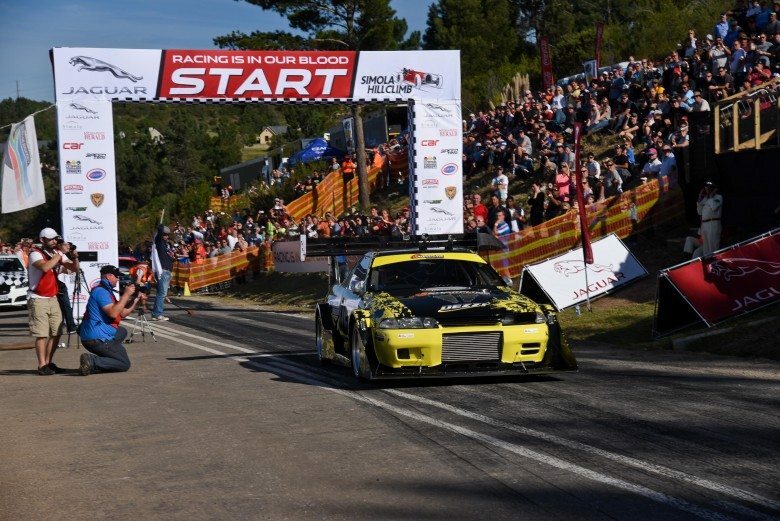 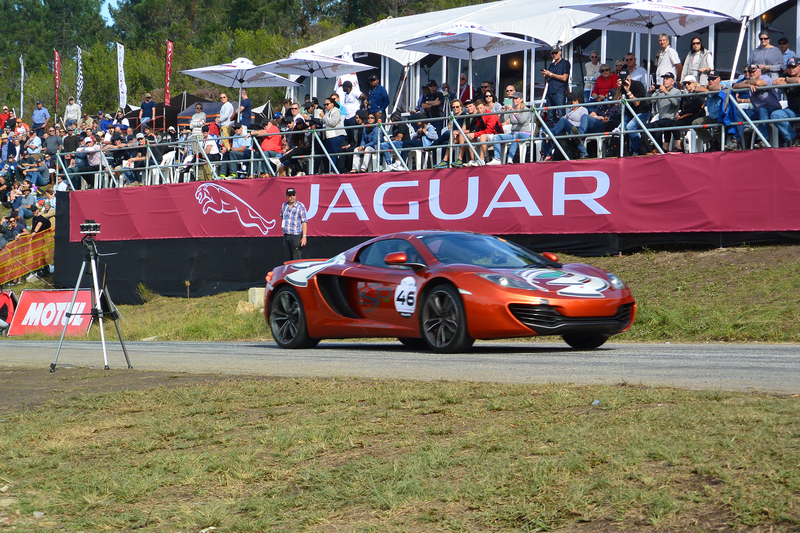 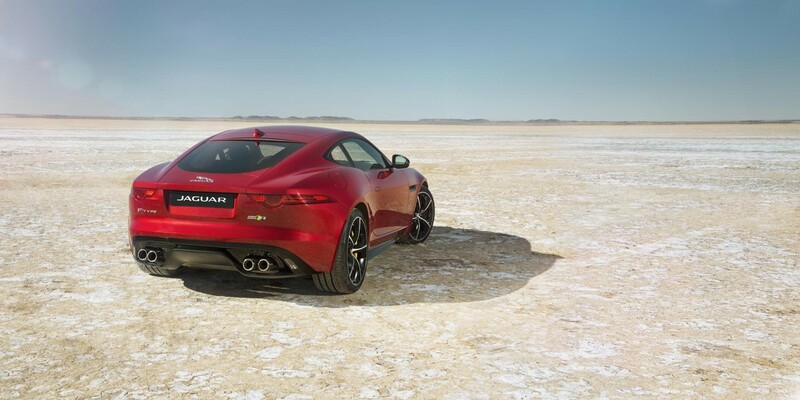 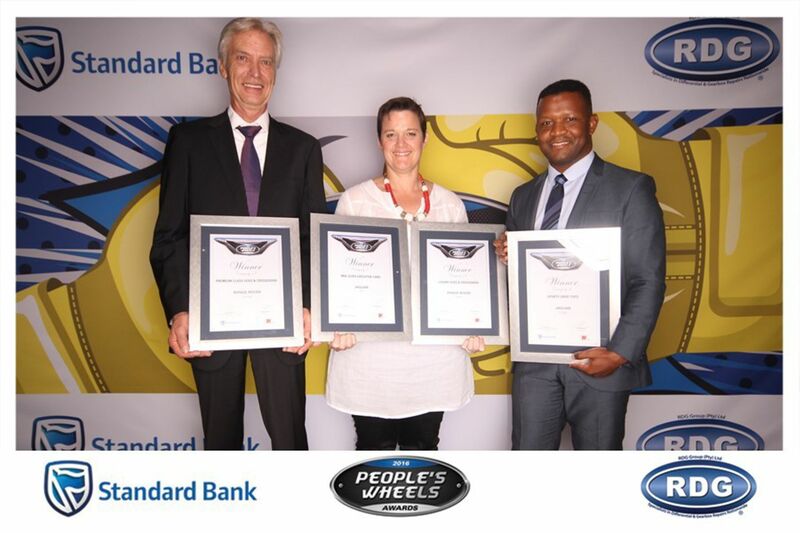 (South Africa – 06 November 2014) Today, the new all-wheel-drive Jaguar F-TYPE R Coupé ensured the Bloodhound SSC World Land Speed Record programme passed a significant high-speed testing milestone. 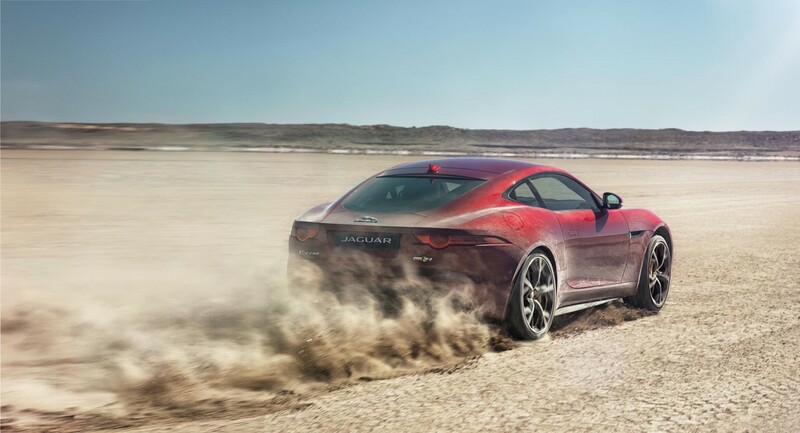 On the relatively soft surface of the Hakskeen Pan desert in the Northern Cape of South Africa, the stability of the AWD F-TYPE R Coupé and its dynamic ability – it will reach 60mph in just 3.9-seconds with a limited top speed of 186mph – enabled the successful completion of a vital communications test for the Bloodhound SSC team. 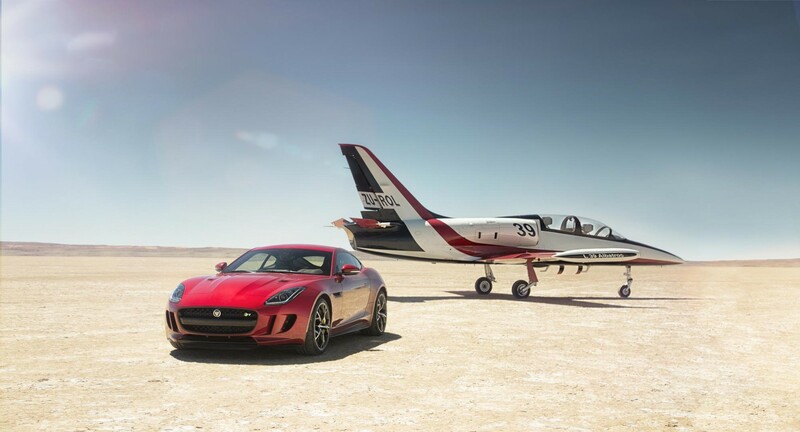 Fitted with the same radio equipment as the jet and rocket powered Bloodhound SSC, the F-TYPE was driven head-to-head at top speed with a similarly equipped jet flown at 500mph and just 50 feet above the ground. 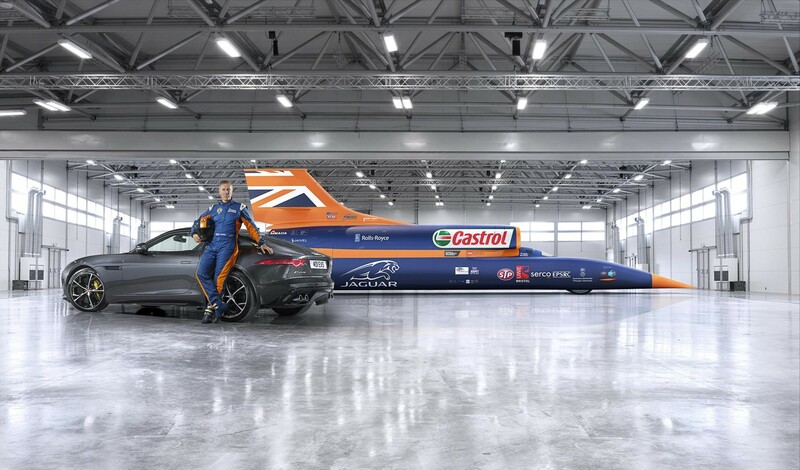 The combined closing speed of almost 700mph enabled the successful test of the system that will allow communications between the ground crew and Andy Green in Bloodhound SSC, which will run for the first time on the Hakskeen desert just twelve months from now. 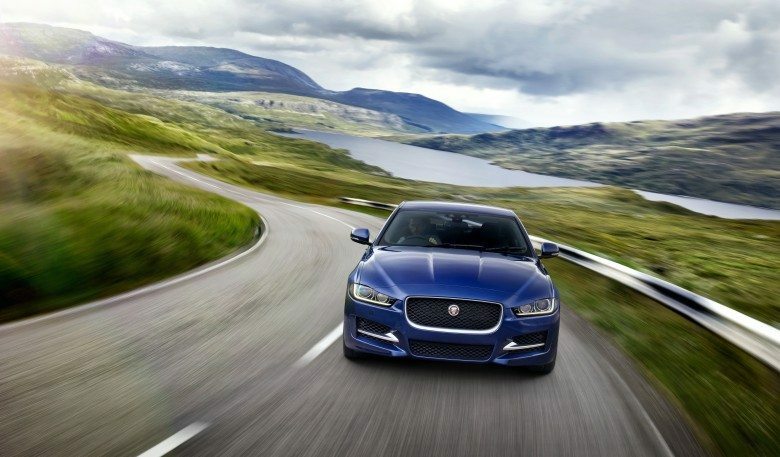 The Jaguar Land Rover press conference will take place at 14:40 PST (22:40 GMT). 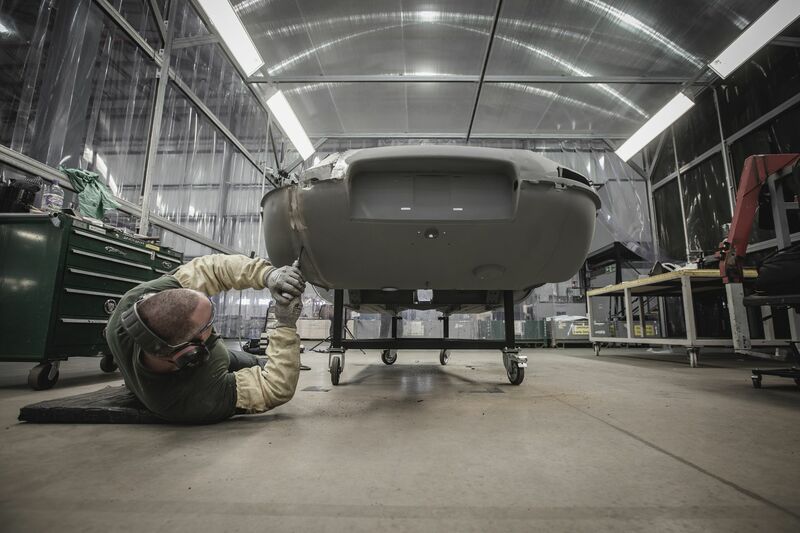 Also at the press conference will be Andy Green, who will confirm the full extent of the technical collaboration between Jaguar and the Bloodhound Project.